Welcome to Begbies Traynor Hereford. We are a group of licensed Insolvency Practitioners in Hereford offering services to help companies with either rescue or closure options. Welcome to the Hereford office of Begbies Traynor. Our team of licensed insolvency practitioners provide a range of professional services to businesses and individuals facing financial hardship throughout the Hereford region. With a network of over 50 offices nationwide, Begbies Traynor handles more corporate insolvency appointments than any other UK firm, making us the industry leading independent business recovery practice. Whether your debt concerns are personal or corporate, Begbies Traynor offers free confidential advice, endeavouring to arrange a meeting the same day, for immediate invaluable advice. We offer unique, bespoke financial solutions, seeking a timely and efficient outcome enhancing the situation for all stakeholders, whilst protecting the rights of all those involved. Taking positive action towards financial recovery, we can offer expert advice on personal or corporate loans, interruptions to cash flow and other areas of financial distress including insolvency. If you are in the Hereford area, and require comprehensive, personal financial advice, contact Begbies Traynor. 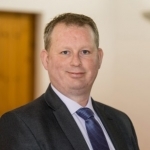 Brett Barton, Partner at the Hereford office, will be happy to discuss your current financial situation with the upmost professionalism and confidentiality either face to face or over the phone. With over 20 years of experience and a wealth of knowledge gained through supporting companies from varying sectors and industries, Brett specialises in insolvency cases across a range of sectors, including manufacturing, engineering, charities, retail and automotive. Begbies Traynor has multiple offices across the region including Cheltenham, Worcester, Birmingham, Cardiff and Swansea.